Some stateless people are detained for months, even years, without any real prospect of their cases being resolved. This must change. Detention centre gates. 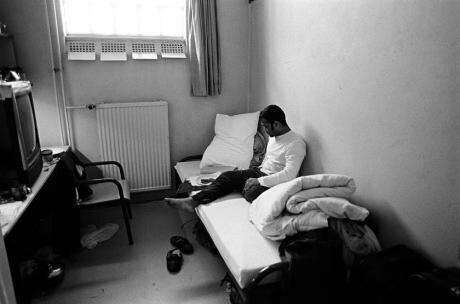 Photo: Greg Constantine for European Network on Statelessness.A consensus is building in Europe that the current use of immigration detention is unsustainable, harmful, and, in many cases, unlawful. Today, a statement signed by civil society organisations, lawyers and academics from over 30 European countries, published as part of a new campaign #LockedInLimbo, calls on European governments to comply with their international human rights obligations which strictly prohibit arbitrary detention. It highlights the fact that hundreds of stateless people are detained for months, even years, without any real prospect of their cases being resolved. This is because immigration systems do not have appropriate procedures in place to identify those who are left without nationality and to protect stateless people. Stateless people are not recognised as a citizen by any state. As such they are denied basic rights that most people take for granted. Statelessness is a legal anomaly, with devastating consequences on the lives of those caught up in it. Stateless people are particularly vulnerable to finding themselves deprived of their liberty and locked up in immigration detention while authorities attempt to deport them. But because there is no country that will accept them, authorities will rarely actually be able to do so. In such cases, where deportation is impossible, the prolonged and repeated detention of stateless people is not only pointless, but also most likely unlawful. Statelessness affects more than 10 million people around the world and at least 600,000 in Europe. Statelessness occurs in Europe both among recent migrants and people who have lived in the same place for generations. While these numbers give an indication of the scale of statelessness in the region, more precise data is sparse and often incomplete. In Ukraine, for instance, there is no reliable data on the size of the stateless population and estimates range from 6,500 to close to 50,000, while in Bulgaria people in detention are often simply assigned a nationality by the authorities according to where they are deemed to have come from, making official statistics unreliable. Worryingly, new research and analysis by the European Network on Statelessness and its member organisations, based on over 60 interviews across six European countries points to a small number of stateless people exposed to prolonged and repeated detention because their statelessness is invisible to the authorities, or their stories are not believed. Muhammed is a Sahrawi – from Western Sahara in north-west Africa – in his late thirties, who came to the UK as a minor. He was refused asylum and has been detained several times for a total of nearly four of the last 18 years. He also applied for status as a stateless person but, as per UK rules, his application was refused because he has a past criminal offence. The authorities did accept that he was Sahrawi, making deportation impossible. However, he still spent 15 months in detention in 2015-2016 alone. Angela is an ethnic Armenian from Azerbaijan. She fled to the Netherlands seeking asylum with her family in her early teens, but they were refused protection. Countless efforts to obtain new travel documents failed. In 2012, Angela was detained during an attempt to forcibly remove her family, which had a huge emotional impact on her. Both Armenia and Azerbaijan refused to facilitate their deportation. A Dutch court ruled her detention unlawful and suspended forced return – but even this did not end her limbo. Man in detention. Greg Constantine for European Network on Statelessness.Angela and Mohamed’s stories are not unique and we heard numerous stories of suffering, and of great human cost. People’s lives are put on hold while authorities try to deport them at the expense of their mental health and wellbeing. It doesn't need to be this way. As part of the #LockedInLimbo campaign, the European Network on Statelessness has published a clear agenda for change which can help end this travesty. The experiences of the people we interviewed point to broken systems characterised by mistrust, lack of awareness, and a failure to apply established legal standards put in place to protect them. Authorities are neglecting their obligations to protect people’s basic rights, exposing them to arbitrariness, discrimination, and systemic exclusion. Their ‘crime’? Having no place to call home and no identity papers to prove it. Their ‘crime’? Having no place to call home and no papers to prove it. Such failings push stateless people onto the margins of Europe’s communities, towards isolation, exploitation and petty ‘survival’ criminality, which in turn can lead to apprehension and detention. Breaking this vicious and discriminatory cycle requires urgent law and policy reform to align national law and practice with regional and international human rights standards. It is time for European states to fulfil their obligations towards stateless people. The answer is a simple one: identification. States must urgently put in place effective procedures to identify statelessness within their immigration and international protection systems. If we can effectively identify who is stateless (or at risk of statelessness), then steps can be taken to protect them from unlawful and arbitrary detention, and free them from legal limbo without a nationality to begin to rebuild their lives. 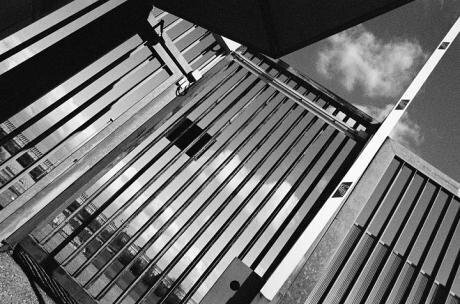 Immigration detention should not be used as a tool to implement states’ migration policies. It has severe and long-lasting effects on the mental health of people detained. While this is even more likely to be the case for the stateless, for whom the prospects of being deported are usually minimal, this only adds to the overall case for a systemic overhaul of immigration detention and Europe’s approach to migration.